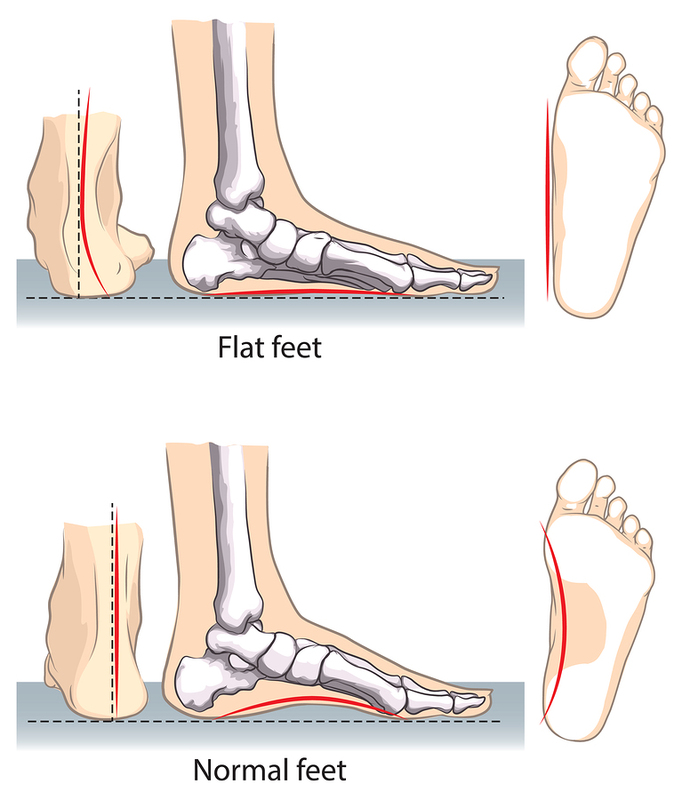 How Can Flat Feet Lead to Poor Posture? Prolonged sitting in front of a computer, in a car, or at a desk can result in poor posture habits that ultimately cause a wide range of problems such as chronic back or neck pain. Flat feet is a key risk factor for poor posture. This foot condition can be caused by genetic factors, weak arches, injuries, arthritis, tendon ruptures, or poor footwear. It occurs when there is a collapse in the foot arch which causes the feet to overpronate, or roll inwards. This places high stress loads to the ankles, knees, hips, and lower back, which lead to pain and stiffness throughout the body. A few tips to keep the body in alignment is to bring your shoulders down and away from your ears to not hunch the upper back. Evenly distribute your body weight to the front, sides, and back of the feet. 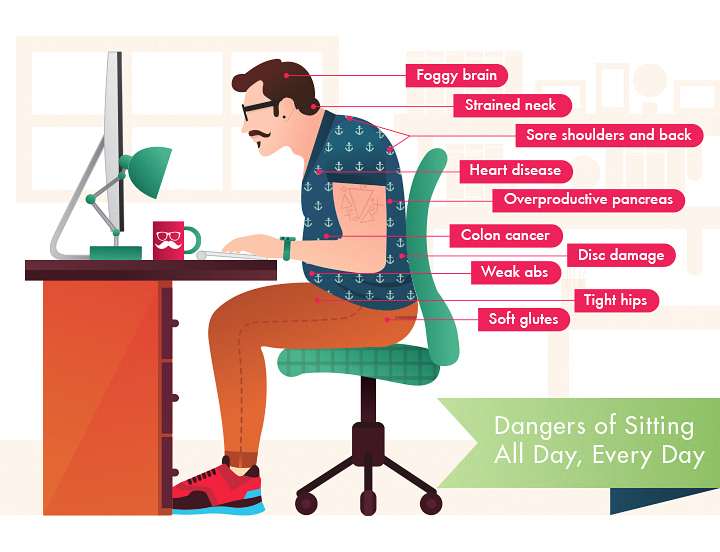 Remember to take frequent breaks during long periods of sitting or staring at a screen. Lastly, proper footwear or orthotics, and strengthening or stretching of the deep neck flexors, trapezius muscle, abdominal muscles, and hip muscles may help correct poor posture.